Dalton International want to stimulate the innovation of the Dalton education by international exchange of expertise. The International Dalton conferences in different countries in Europe give that opportunity. 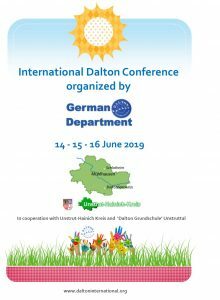 Together with the official Dalton Associations, we made a schedule for the organization of the International Dalton Conferences to have an outlook for upcoming year. But a conference is not the only platform. Dalton International is specialized in training of school staffs by executing Dalton courses on international level. International Dalton Consultants from different countries are involved in this process. Schools that have followed the Dalton training process get the predicate of “International Dalton School”. The training process is always established in joint consultation with the management of the school. After such training period Dalton International give the individual teachers who participated the official certificate ‘International Dalton Teacher’. Dalton International is the only institution who can give the predicate Dalton to schools. The local Dalton Associations are taking over this procedure from the moment they are officially registered. Dalton International initiated the founding of local Dalton Associations in Austria, Czech Republic, Slovakia and Poland, and is initiator of the ‘German Department of Dalton International’. Dalton International is strongly cooperating with the Dutch Dalton Association and is leading partner in Chinese Dalton development, executed by the ‘Chinese Department of Dalton International’. A modern teacher creates a learning setting in which children are challenged to take initiatives. The time of only one teaching method is far behind us. The necessity to work on differentiation is not only connected to children who are lagging behind or leading the group. In Dalton education differentiation also comes from the simple attitude: respect each individual child. Modern education is more and more development-oriented education. This approximation is just the point to give children the space to take initiatives. Teachers nowadays have more a coaching role. They aren’t just instructors who deliver a lesson. Rather, they support and guide student activities as coaches do. They provide feedback and coaching to the class so that students receive the appropriate information and academic training. Teachers guide students in developing skills in problem solving, research, and decision-making. The actual Dalton education is focused on 21st Century skills. International contacts on the level of Universities, vocational and secondary education belong in the meantime to the normal potentialities. But for primary education the world is still an open field. Dalton International want to stimulate international contacts on that level. Therefore we created a special platform called ‘Webcam Classes’. Internet connections are the ultimate chance to exchange Dalton assignments and to get insight in each other’s classrooms. 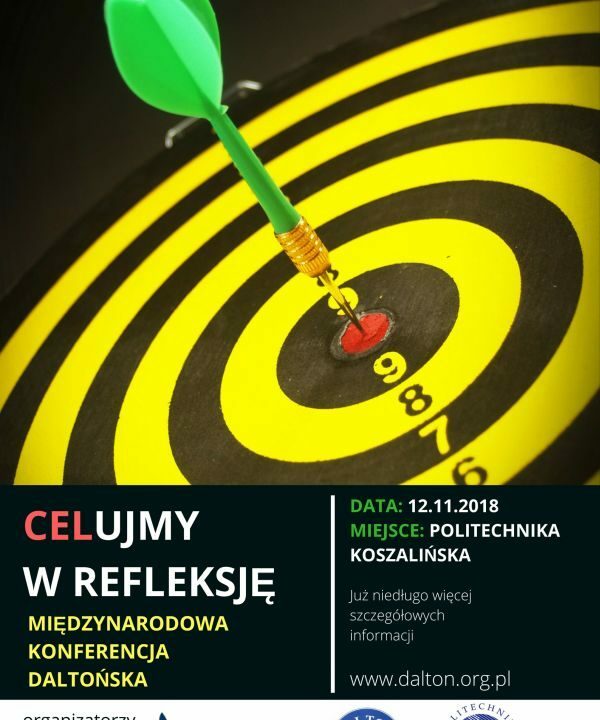 What a thrill to open the possibility for young children in different countries to work with the assignments developed abroad. And is the great opportunity to practice the English language. Dalton International composes innovation of the Dalton education. This is one of the reasons to develop an intensive contact with local Dalton Associations in different countries. Dalton specialists and representatives of Dalton schools all over the world are participating in Dalton International and work together on the future of Dalton. The yearly International Dalton Conference is the ultimate platform for new Dalton inspiration. And when we honor schools as “Member of Dalton International” with the official certificate, it is the result of their merit and activities for the national and international Dalton development. We are proud to have so many highly qualified schools as member.